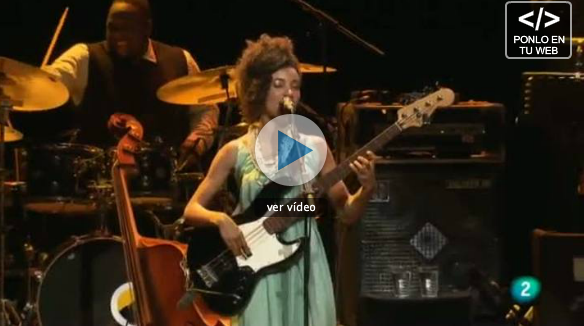 After her short pass through the beautiful city of Barcelona, Esperanza Spalding had the chance to chat with Miradas 2 and talk about her latest album Radio Music Society, her interaction with the great ensemble that accompanies her in this worldwide tour. In almost perfect Spanish language the bassist exchanged her point of view about creation, the music business and awards recognitions. Check out the interview here.